This course was developed for IT Professionals who need to design, plan, implement and support Microsoft Exchange 2013 Applications, which provides a user friendly environment for email. Microsoft Exchange is one of the most widely used mail servers in the corporate world. 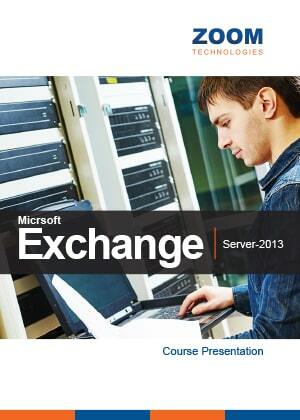 This course aims at giving you a thorough understanding of the inner workings of the Exchange server. The lab exercises will be implemented on registered Domain names with valid Public IP addresses. This training is conducted by Senior System / Network Engineers with several years of field experience.